Khartoum, Sudan — Massive demonstrations have broken out in Sudan leading to a military coup that has overthrown Sudanese president Omar al Bashir. Since 1989 he has ruled Sudan with brutal oppression; killing of his own people, and ordering harsh persecution and expulsion of Christians. Over the last several months thousands of Sudanese took to the streets protesting this ruthless and violent regime. On April 11, just two days ago, Bashir was overthrown. The Sudanese constitution has been suspended, and a military transitional government has been installed. However, the demonstrations are continuing and people are demanding a civilian lead government. Consequently, the country remains in a state of instability with little to no police presence on the streets. Today, our Frontline Workers are rejoicing that they are temporarily free from oppression but they ask that we would all join with them in prayer that the new government would abandon the persecution of the past and support evangelistic efforts throughout the country. While this is a very difficult and dangerous situation, it also affords the opportunity to demonstrate the love of Jesus by providing aid to the people, and proclaiming the saving message of salvation! As this is a turbulent and uncertain time, we do not know how long we will have to openly share the Gospel in the country. Raw footage from Frontline Workers shows the intense and violent situation in Sudan. This is a crucial time frame where our Frontline Workers can finally experience the freedom to share the Gospel without government interference. At the same time we can show the love of Christ by providing aid packages to citizens in a time of grave uncertainty. Your prayers and gifts to reach the nation of Sudan are urgently needed! Many who have never heard the message of Jesus can experience the love of Christ for the first time! Please consider giving a gift below and signing up to be a Prayer Partner so we can keep you up to date in the future. Become a Prayer Partner Today! "…tears filled my eyes, Jesus died for me, He loves me!" These are the redemptive words of a young woman who had lost all hope. As we approach Easter, we can all reflect on God's amazing plan to redeem the world - including the Muslim world and former Muslims like Mona. Mona’s experiences were enough to completely derail her life; but because of Christ’s unrelenting love, she and her family have a new story. Mona grew up in Syria with five sisters and three brothers but, unfortunately, her precious childhood was cut short. At the young age of ten, she was given away to be married despite the protests of one her brothers. She experienced multiple nonconsensual sexual experiences and abusive encounters at the hands of her husband. Then, at the age of eleven, she nearly died during childbirth. Mona lived with this torment and abuse for many years. Her horror stories and pleas for help fell on deaf ears with family and friends. The idea of divorce was more frightening to them than her sufferings, and so she bravely endured until the age of 27 when she and her husband finally agreed to a divorce. Only a few weeks later, the war in Syria took the life of her ex-husband and Mona fled to Lebanon along with millions of other refugees. We first met Mona when she came to our center in Lebanon. She recalls, "I wanted to be a Christian," and goes on, "I loved what I heard about your church, and when I came to your church, I loved the teachings." When Mona heard the stories from the Bible, especially the suffering of our Lord Jesus, she remembers, "Tears filled my eyes Jesus died for me, He loves me!" She eventually brought her new husband with her to the church where we got to know the couple better. After several visits to our Sunday services, and learning more the Word of God, the couple made the courageous decision to follow Christ. Then, despite the danger, they chose to be baptized! Mona is now living her life for Christ, and she has even led her family to salvation! Everyday she eagerly shares her faith with the Muslim community that she once hated. Despite the life of trauma she endured growing up, Mona is now a conqueror in Christ. With the Easter season upon us, Mona's story is a powerful example of the faithfulness of God. Although His plan for redemption started over 2,000 years ago on the cross, many in the Muslim world are hearing the good news for the first time. On behalf of the Call of Hope team we want to wish you a Happy Resurrection Day and thank you for your prayers and support as we bring the Good News to the Muslim world! Please pray for women and children like Mona who are enduring the same traumatic experiences today. Pray that God would rescue and restore them. Please Pray for new believers that have converted from Islam. Pray for their safety as share their testimonies among their Muslims neighbors. In Northern Ghana, the distance between villages for Evangelist Joshua Alhassan covers a daunting 72 kilometers radius. 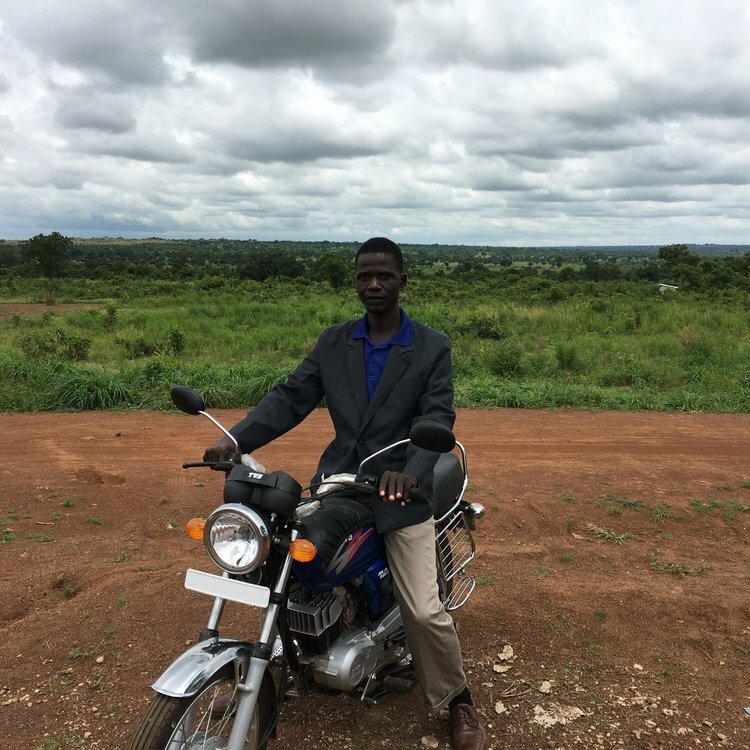 Thankfully, with the help of The Motorcycle Project and faithful supporters, we are able to bless our Farmer Evangelists like Joshua with a reliable motorcycle that has transformed his ministry work! The northern region of Ghana is home to a population that is about 90% Muslim, making efficient transportation a critical component to reaching Muslims with the Gospel. Joshua can now encourage, pray and effectively share the gospel with more Muslims in the region. He’s even using the experience to share the gospel with passengers! Joshua says that he invited a Muslim relative along to accompany him on his journeys, and "through this exposure to the gospel he has now given his life to Christ.” In fact, last year Joshua led five people to accept Jesus Christ as their Lord and Savior as a result of his motorbike! Today, Joshua continues to reach distant areas on his motorcycle. 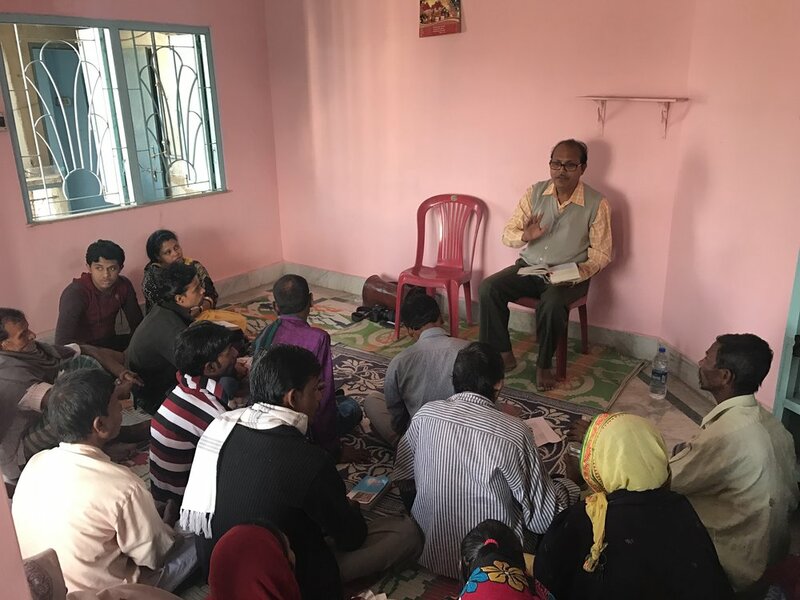 He’s going village to village discipling new believers, encouraging persecuted Christians, sharing the Good News, and offering practical agricultural training to Muslims and Christians alike! Just like fish and bread in the hand of Jesus, God has blessed our motorcycle ministry and used it to multiply the harvest, not only for crops, but also for new salvation in Christ! Just as God has done throughout history, He is making a way in situations that seem impossible. Despite the overwhelming stories of women being mistreated in the Muslim world, be encouraged! God is raising up many bold Christian women to proclaim the Good News to Muslims! One of these new believers is a young woman named Serwa. 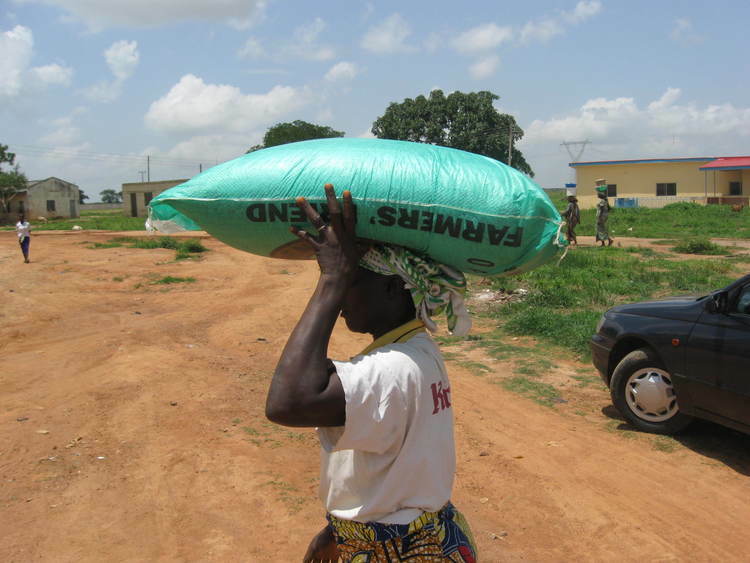 In a small rural area in Ghana, Serwa caught the attention of our Frontline Worker, Bro. Addae. In a village full of indigenous Ghanaians all speaking the local Dagbani language, Serwa spoke nearly perfect English. How could a young woman from rural Africa speak so well? As Addae discovered, God was working His perfect plan in Serwa‘s life to turn bad things around for His glory. Serwa grew up as a Muslim and survived a very difficult childhood. She has never known her mother. When she was just a baby, her parents went through a bitter divorce. Soon afterward, her father abandoned her completely and sent her to stay with her aunt in the Ghanaian capital of Accra. Rather than being sent to school, as she expected, Serwa was forced to earn money by selling rice and beans to an upper-class crowd. Her earnings were not even hers to keep because year after year, her aunt would take her money to support her own children. She was treated as an outcast by the only family she had. Eventually the trauma she endured from her aunt in Accra was too much, and she fled back to her home village in northern Ghana. This is where the Lord revealed His plan to adopt her into God's family. It was while selling rice and beans to her wealthy, English-speaking customers in Accra that Serwa learned the language for herself, without any schooling. As Serwa talked with Bro. Addae, she had so many questions about why she had to experience all these difficulties growing up. This conversation opened a door for Addae to share the Gospel with her for the first time. Serwa found herself immediately interested in Jesus. She saw the joy that Christians in her village had and she needed to know more. Even after hearing about a God that loves her and wants a relationship with her, she still expected Jesus to disappoint her, just like her family had. Through the perseverance of Bro. Addae, Serwa eventually accepted the invitation to attend a Call of Hope Christian seminar in Tamale. This is where Serwa first opened her heart to Jesus and began to believe that God truly wouldn’t let her down. With a renewed hope, Serwa committed her life to Christ and enrolled in the Call of Hope boarding school. After years of broken promises, she finally has the chance to attend school for the first time in her life. As she grows in her academic capacity, she is also growing in knowledge of the Bible and growing closer to her Heavenly Father. Today, she is planted in a local Bible believing church. Although her family has abandoned her, she has a new family of brothers and sisters in Christ. Everyday she is eager to tell others about Jesus, even her Muslim friends and neighbors! Serwa's powerful testimony is one of many examples of how God is raising up women in the Muslim world. Even in areas where women are often oppressed, the Gospel is setting them free! P.S. As we approach International Women's Day on March 8th. Call of Hope is excited to share inspiring stories like Serwa's testimony. Even more importantly, we want to cover women in the Muslim world with our prayers and financial gifts so more women like Serwa can experience the freedom of knowing their Creator and Savior. Will you join with us in prayer and consider giving a gift of $10, $20 or $50 dollars today? We are overwhelmed with gratitude for our prayer and financial partners, and for the grace of God which continues to shine across the Muslim world! More than 100 years ago God birthed Call of Hope to serve on the cutting edge of reaching Muslims with the Gospel message. We have seen God intervene countless times over the past century, transforming the lives of those far from Him in some of the most difficult and dangerous places in the world. God gave our early mission leaders a new idea, to equip former Muslims, miraculously saved by His grace, to faithfully proclaim the Gospel and demonstrate the love of Jesus to Muslims desperate to hear the Good News! And now, more than ever, we see how effectively God is using that same idea today! Rather than sending traditional missionaries from the Western world, Call of Hope reaches Muslims with the Word of God and the message of salvation in Christ through local Believers, all theologically trained and most of whom are former Muslims themselves! Just as the apostle Paul took advantage of his status as both a Jew and a Roman citizen to minister to both Jewish and Roman audiences, Call of Hope Frontline Workers are uniquely equipped and positioned to reach out to their Muslim neighbors because they know their culture, their language, and of course the viewpoints of Islam. Prior to Paul’s conversion, he was dedicated to persecuting early Christians. God worked a miracle in Paul’s heart on the road to Damascus, and today He is still working the same miracle in the lives of those antagonistic to the Gospel. We have seen God transform former ISIS fighters, Muslim religious leaders, and others who are the most unlikely to receive the truth of Jesus. As we reflect upon God’s faithfulness in the past, we are excited to see all He will do through Call of Hope in the days ahead! Psalm 127:1 declares "Unless the LORD builds the house, the builders labor in vain." In the same way, we recognize that we cannot continue our work in the Islamic world without the faithful support of our prayer partners. As we embark on a new year of ministry to Muslims, would you commit to praying with us, beginning with just one week? A seven-day prayer guide with specific prayer points for each day is available by clicking the link below. 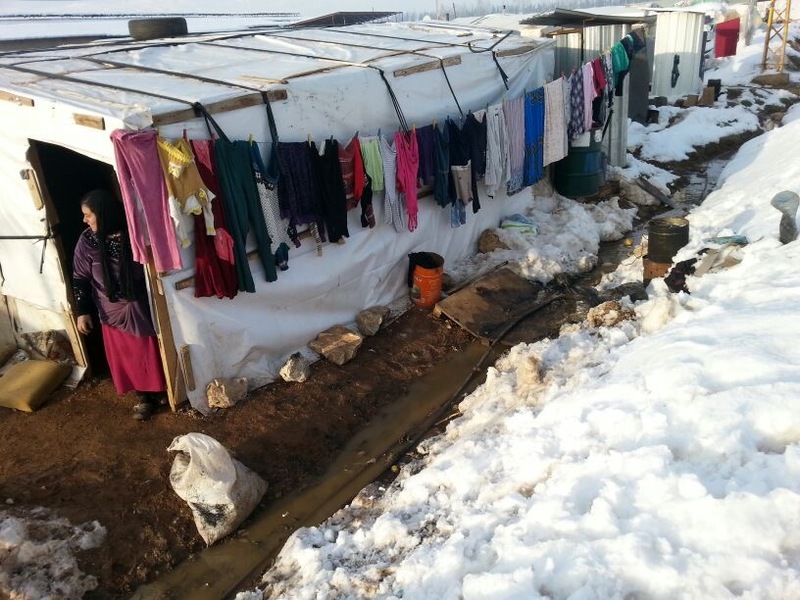 In the Bekaa valley of Lebanon, where millions of Syrian refugees have settled in the wake of civil war, God is using an unlikely group of people to spread the Gospel message! In this region of Lebanon, Call of Hope operates a center for Blind and Disabled refugees. One might expect this center to be filled with sadness. After all, if anyone should have a reason to be downcast, it would be a refugee with a challenging disability. Life for these children is very difficult and they are treated as the lowest class in their society! However, children in the call of hope center aren't sad at all. In fact, everywhere they go, they radiate the joy of Christ. As you step into the center, your ears are filled with beautiful voices singing worship songs, laughter, and testimonies of God’s faithfulness. How could blind children, many who became disabled as a result of the war, be so happy? If you ask them, they can’t wait to tell you. “I know one day I will be able to see Jesus face to face. He will give me new eyes and I will be able to see. My time here on the earth is only temporary compared to being with Jesus forever.” a young girl explained in her native language. Here in the center, both Shia and Sunni refugees are receiving treatment together and worshipping Christ together. This is astonishing when you consider the deep-rooted hatred between these two Muslim sects; as well as the difficulties they face from their Muslim families after becoming Christians. Blind children often visit a nearby eye doctor to receive treatment. As they sit in the waiting room, they are so happy and joyful that those around them began to take notice. Finally, after several visits, the receptionist asked a young girl named Tamar, “why are you so happy all the time?” Tamar responded by telling the woman about the hope and joy she has in knowing Jesus. Every week, Tamar and the other blind children freely talk about Jesus at the eye doctor’s office. Finally, the doctor himself began to ask our Frontline Worker in Lebanon, Brother Youssef, many questions about Christ! Astonishingly, after several meetings and deep conversations, this Muslim eye doctor assistant placed her faith in Jesus and became a Christian! It truly is a remarkable testimony, God can use anyone! Even refugee children who are blind and disabled can have a profound impact for the kingdom of God! Today even the eye doctor himself continues to express interest in Christ. We hope this story inspires you! After all, each of us has a unique gifting that God can use. Our prayer is that you would allow God to use you today! You can reach Muslims for Christ by partnering with believers in Lebanon and other regions through your prayer and giving. Please consider a financial gift to help blind and disabled refugees today. Together we are providing the message of Christ to a Muslim world in desperate need! Any financial advisor could tell you that it’s wise to have an emergency fund. When unexpected circumstances arise, you’ll know you have some money put away to cover bills, put food on the table, or handle emergencies. Like many children in rural Africa, Malekbi Nlessan comes from a deeply impoverished home. His family couldn’t afford to send him to school, let alone pay for supplies like a backpack and clothing. He has only ever known a life of scarcity. The idea of a “savings account” would be a far off dream for the Nlessan family. But EVERYTHING changed when Malekbi received a goat from Call of Hope. You see, the goat has not only provided a way for Malekbi to go to school. It has acted just like an emergency account for the entire family. As the goat produces offspring, the Nlessan family can sell them at market to make ends meet. For the first time in their lives, the family has been able to afford health insurance, bountiful food, school fees and supplies, and have a backup plan for emergencies. When money is in short supply, the Nlessans no longer need to worry! As they gather around the dinner table, they earnestly thank God for the gift of a goat and the remarkable difference it has made for their life. After all, it’s not a savings account that we put our faith in, and its not an animal either. We know that God is our provider, and so does Malekbi. The common opinion among both Muslims and non-Muslims is that the acts of ISIS have nothing to do with the actual practice of Islam. After all, it can difficult to justify such acts like the massive beheading of prisoners of war, the burning of people alive, the enslavement of young girls, or the destruction of churches. However, if you take a deeper look into major works of Sharia, you’ll see that ISIS actually follows the teachings and practice of Mohammed to the letter! Sharia demands, for example, the killing of Muslims that have apostatized from Islam. The frontlines of Muslim Evangelism can be extremely dangerous. Despite the peril, our Frontline Workers are boldly proclaiming Christ to even the most militant Muslims. Since Call of Hope workers are indigenous former Muslim themselves, they are uniquely equipped to share the Gospel. Already, many have come to Christ, including former ISIS terrorists. The one thing Frontline Workers ask for more than anything else is that we here in the U.S would faithfully commit to prayer and financial support. As Christians, sharing our faith also requires us to understand where other religious beliefs come from. For a Muslim, the concept of “Sharia Law” is the guiding principle for nearly every area of their lives. The literal meaning of “Sharia” in Arabic is, “the way to the oasis.” With this definition in mind, it may not surprise you that the majority of Muslims believe that in following this law lies the solution to all of their problems. In thier minds, if everyone could simply adhere to these simple rules, there would be no war, no poverty, and no sickness. Sounds pretty nice right? But what exactly is in the fine print of this law? And where did it originate? The answers may shock you! Unlike the Ten Commandments, your city’s building codes, or our national legislation, Sharia law is not one specific legal code. Rather, there are tens of thousands of volumes about Sharia, all of which are open to interpretation. In Turkey, Sharia is referenced when declaring the headscarf as a compulsory order for Muslim women or allowing the marriage of a Muslim with a nine-year-old girl. When ISIS beheads someone for their beliefs, it is the same Sharia law that is used as the justification. In fact, in many Islamic countries, Sharia law has been adopted into the national legislation, sometimes partially, and other times completely. Where does Sharia Law come from? Worldwide, Muslims consider Sharia as "the law of Allah“. However, only a small part of the Sharia is from Allah himself. There is a simple reason for that, namely that the Koran – the word of Allah – is barely dealing with legal aspects of Islam. Among the 6,236 verses in Koran not more than 100 verses comment on legal topics. Ironically, most of those Koran verses deal with Mohammed’s marital difficulties. Since The Koran shed little light on how Muslims could find “the way to the oasis” there were also other influences. The second source is Mohammed’s proverbs and personal writings on his own life. According to Islamic scholars, Mohammed’s proverbs have almost the same rank as the Koran in terms of weight and importance in a Muslims life. Moreover, they say that Allah demanded all Muslims to obey Mohammed and to imitate him in all areas of their lives. The Koran itself does not comment on many common Muslim practices. For example, how to perform the Islamic prayer or how to fast during Ramadan. Muslims learn these laws from the reports about Mohammed’s life. For over a 1,000 years, Muslims have had a third authoritative legal basis besides the Koran and the life of Mohammed. This is called “The consensus of the Sharia scholars." Whenever scholars of the Sharia agree upon something, their consent is considered a decision of Allah. The Sharia is an ever-changing and constantly growing collection of laws. The more questions that are answered by Sharia scholars, the larger the law grows. Each time a group of Sharia scholar decides on a new consensus it becomes binding for all Muslims. In fact, in 2016, scholars introduced over 700,000 thousand new fatwas (legal advices on Muslim law) to answer the questions of Muslims. Questions can come from the everyday life of a Muslim, like “Am I allowed to eat in a restaurant, in which there is also being served pork?”; “Is it a sin, if I greet my Christian neighbor? Their legal advice is binding for all Muslims worldwide – not only for the inquirer. Obligatory: Anything that Allah or Mohammed instruct are considered “Obligatory” by the law. For example, every Muslim after a certain age must pray fiver times a day. Obligatory laws are expected to be obeyed and Muslims believe they will face punishment from Allah on the earth and also in the after life. Prohibited: Everything that Allah and Mohammed have clearly forbidden or warned of is considered as “prohibited”. For example, the consumption of alcoholic beverages is prohibited. Anyone who violates this rule, is punished with 80 lashes. If a Muslim is caught repeatedly drinking alcohol, Mohammed demands that this person be put to death. Recommended: A recommended act, such as friendliness of a Muslim towards another Muslim, might help a Muslim in Islamic “paradise.” However, if he chooses not to do so, it is not considered a “sin”. Reprehensible: A reprehensible act, such as eating garlic and onions (Mohammed hated them) can be done without consequence. However, by doing this he loses his reputation as devout Muslim. Indifferent: What Islam has neither commanded nor prohibited, is considered as “indifferent “. For example, eating a watermelon is an “indifferent” act, as Islam knows neither a precept nor a prohibition as to this matter. All across Africa, entire villages are being transformed with the love of Christ demonstrated with the gift of a goat! This remarkable project has changed the lives of thousands of children. In Ghana, Nigeria, and Kenya, God gave Call of Hope a culturally appropriate method to connect with the people - Farmer Evangelism. Due to the rich agricultural area that makes up much of the land of these countries, most of the villagers have become farmers to feed and support their families. Call of Hope Farmer Evangelists are trained in effective small-scale agricultural production, which they use to assist their neighbors and eventually start conversations about Jesus. In order to help the children in these rural African villages, Farmer Evangelists introduced The Goat Project. A remarkable idea that created a pathway to help pay for schooling, as well as open hearts to the Gospel. A Farmer Evangelist provides a female goat to both Christian and Muslim families. When the goat produces offspring, they can be sold at market and the proceeds can be used for school fees and other necessary items for the children to receive their education. Since its inception, over 10,000 goats have been provided to vulnerable children and their families in Ghana Nigeria and Kenya! Become a part of this remarkable project today, give a goat of your own! From the remote villages of Nigeria, to the islands of Indonesia, to the arid Middle East and beyond; Former Muslims are reaching their neighbors with the message of Christ! Below you can read a the recent article with Mission Network News on how Call of Hope is making a difference in the Muslim World through national workers. International (MNN) — Countless ministries all over the world are working in volatile areas with people groups that are indifferent or even hostile to the Gospel. That’s why it’s no small feat when Ron Chiricosta says Call Of Hope“astounded” him with their methods. “Call Of Hope works with over 200 former Muslims, Muslim-background believers, and they are the ones who actually carry out the work of Call Of Hope in over 27 nations,” says Chiricosta, now Call Of Hope’s Executive Director. Why is that important? Chiricosta says it’s because Call Of Hope only uses national workers in all 27 countries. They don’t send people; they work with indigenous people living in the areas they want to reach. Call Of Hope focuses on reaching the Muslim population of the nations in which they’re operating. Workers use media resources like radio programs, websites, specialized literature, social media, and more to build relationships with Muslims looking for answers. As Call Of Hope workers build relationships with indigenous Muslims, they can connect them with a wide network of house churches. Though they’re “not in the business of planting churches where churches aren’t needed,” they’re still willing to establish new house churches if there are none in the area so no potential believer will have to leave their questions unanswered. And Chiricosta predicts plenty of questions since the love that can be found in Christ is a foreign concept to many Muslims. One of Call Of Hope’s practical ways to show love comes through a goat giveaway in Ghana and Nigeria. Chiricosta says the project opens doors into deeper conversations with local Muslims who are startled by the open arms of believers willing to share the Gospel. Many of Call Of Hope’s 200 national workers are facing dangerous, volatile situations, and they need all the support they can get. Though Chiricosta says he will never turn away a gift, “Dare I say it, I’d rather someone pray without giving than give without praying”. “As I think about the people that we have working in the different countries, the overwhelming thing that they say to me is ‘please have people pray for our work and for our people’,” Chiricosta says. But that also means people coming into persecution. Pray for Christians working with Syrian refugees in Lebanon and Jordan, believers facing banishment in Northern Sudan, and refugees fleeing the atrocities of Boko Haram terrorists in Nigeria. “Pray for boldness that they will continue sharing Christ,” Chiricosta asks. We all face problems in our lives. Financial hardships, sickness, and family issues are just a few common challenges. Have you ever dealt with any of these issues? How did you get through it? A mother and her two children sat outside a destroyed home in Bagdad. The pile of ruins was the only thing left of their former home. Alone and afraid, this refugee family was looking for anyone who would help them! "We are Shia Muslims. My husband was killed in Mosul by ISIS soldiers. We lost everything." the mother explained to our Frontline Worker in Iraq. "Is there anything you can do to help us?" In this instance, we were able to provide food, clothing, and shelter to ease their burden and show the love of Christ. The widowed mother was filled with intense gratitude but she was baffled by this act of kindness. "Why would you help us? No one helped us, not even Shias, just you Christians" she explained. Call of Hope workers knew that this was a great opportunity to share the Gospel. He read 1 John 4:8 with the woman and she was overcome with joy. "I want to learn more about this Jesus who gives love so freely." Today she is coming to church regularly and her children attend Sunday school where they are able to be counseled through their traumatic experiences. On the embattled streets of the Iraqi capital, there are many women and Children in similar situations. Unfortunately, aid from large organizations ends up in the hands of men, and women and children are often neglected. For this reason, Call of Hope Workers in Iraq are ministering specifically to women and children. In addition to food, clothing, and shelter; we have partnered with doctors in the area to ensure that these women and children are receiving the medical care that they need. Our ultimate goal is that refugees would come to know the great physician, Jesus, who can give them eternal healing and relief from pain! This Christmas, Frontline Workers in Iraq are excited to be organizing a Christmas celebration for over 100 refugee children! For some, this will be the first time that they ever hear about the gift of Jesus coming to the world. Please keep these families in your prayers this Christmas season! Please pray that the hearts of refugee children and their parents would be open to the Gospel message. 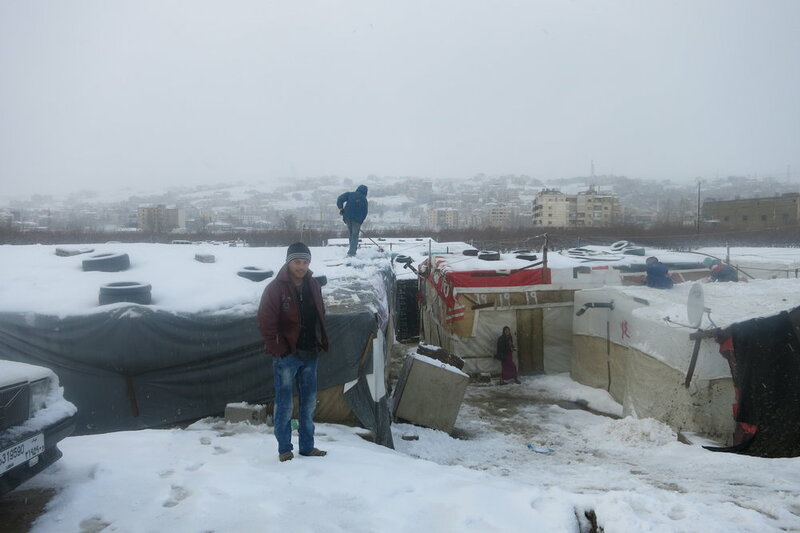 Please pray that God would protect and care for refugee families in Iraq this winter. Pray for financial provision so that our frontline workers in Iraq can minister to more women and children this Christmas and into the New Year! P.S. If you want to be the answer to a child's prayer, click below to give to an Iraqi refugee family. Imagine if you could receive a Christmas card from every life that has been touched by your gift to Call of Hope. In Ghana, Musah was desperately poor but he received a Goat that allowed him to go to school. In India, a sewing machine helped Wasima start her own tailoring company. On the border of Syria, thousands have been given food and shelter thanks to your contributions. These stories don't just end with a handout and a pat on the back. Our frontline workers are building meaningful relationships with Muslims so that they can come into a saving relationship with Jesus. This #GIVINGTUESDAY, The Christmas of Hope Gift Catalog gives you the opportunity to meet both an immediate physical need and the eternal need of salvation for a persecuted Christian or a Muslim interested in Christ. Click below to see all the ways that you can make an impact this Christmas season.